For many of us, cleaning is one of our least favorite activities. But thankfully, there are many ways to make this unpleasant business so much easier. And the great thing is they all require only a minimum amount of time and effort and can be achieved without having to invest in any special chemicals. To make your life easier, we at Bright Side put together a selection of the most ingenious tricks for cleaning things at home. The fat and oil from the grating can be cleaned using ammonia spirit. Place it inside a sealable plastic bag, and add 2-3 tablespoons of the solution. Leave for 12 hours, then wash. Done! Sprinkle the lower part of the frame with soda. Using a water spray bottle filled with water and vinegar in a ratio of 1:1, spray the soda. 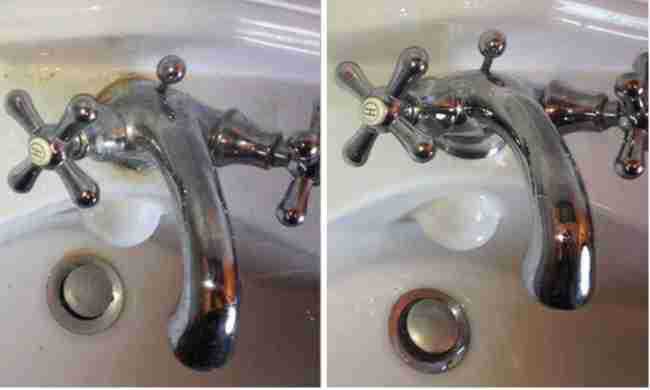 Next, rub thoroughly with an old toothbrush and wipe first with a paper towel, then with a wet cloth. Now behold the result! Mix together 1 tablespoon of soda, 1/3 of a glass of vinegar, some hot (but not boiling) water, and 1 tablespoon of washing powder. The mixture works perfectly for removing stains from upholstery. On its own, soda can add some freshness to your couch — just sprinkle a thin layer on top and leave it for a few hours, then vacuum it up. The dirt and mold that accumulates in the thin spaces between your bathroom tiles can be removed by rubbing the affected area with a mixture of vinegar and soda. Leave the mixture on the surface for a couple of minutes, then rinse with water and wipe dry. Pour some ammonia spirit into a small container, and leave it in the unheated oven overnight. 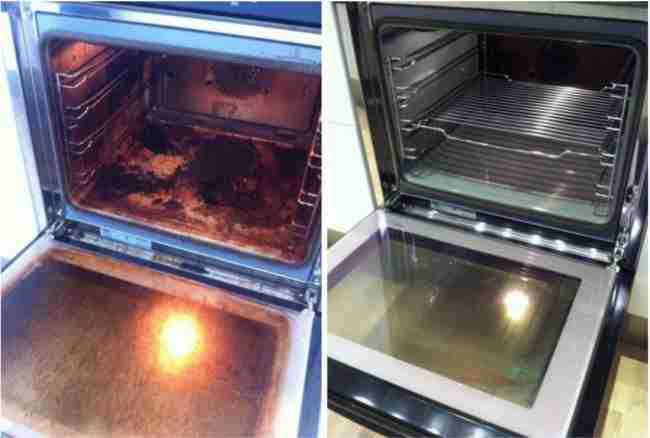 In the morning, the dirt will be easy to clean from the walls of the oven. The smell won’t linger for long, but remember to keep the windows open while cleaning, and always wear rubber gloves. In order to keep chrome-plated surfaces clean for as long as possible, wipe them with wax paper. You’ll soon find yourself spending a whole lot less time cleaning up in the bathroom. Pour 1 glass of water into a large container, and add several tablespoons of vinegar. Place it in the microwave, turn it on, and wait until the window begins to steam up. Turn it off, and leave it to cool down for around 15 minutes before opening the door. 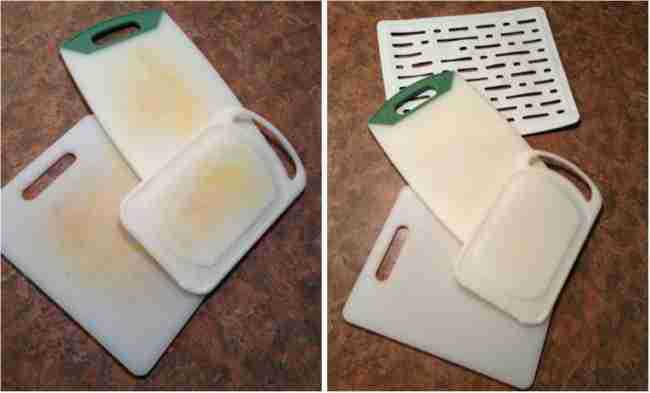 Then remove the container, and wipe down the interior of the microwave with a damp sponge. Wipe down the stained area to make it wet. Sprinkle the area with soda, leave for 10 minutes, and then vacuum it up. Mix 1 tablespoon of dishwashing liquid with 1 tablespoon of white vinegar, and add the mixture to some warm water (you need about 2 glasses). Rub the area where the stain is thoroughly, and allow to dry. 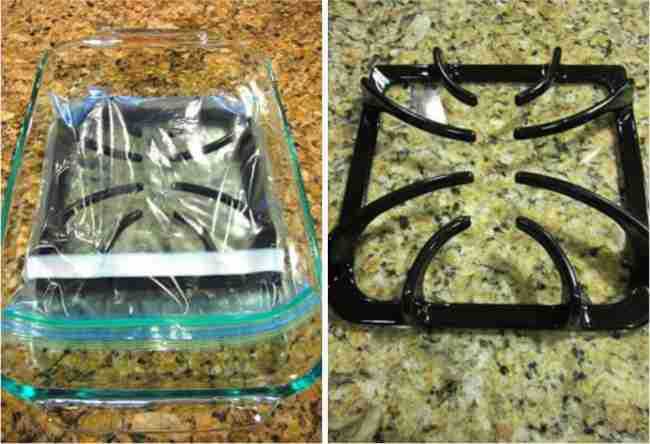 Take a large container, and cover it with aluminum foil. Fill it with hot water, and add half a cup of salt and half a cup of soda. Soak your silverware in this mixture for 30 minutes, then rinse and wipe down with a soft dry tissue. All the dark stains should disappear. Make sure the board is dry, and then rub it with salt. Now thoroughly rub it using a sponge or brush, having submerged it in hot water. Repeat the procedure if required. Mix water and dishwashing liquid in a spray bottle in a ratio of 1:1. 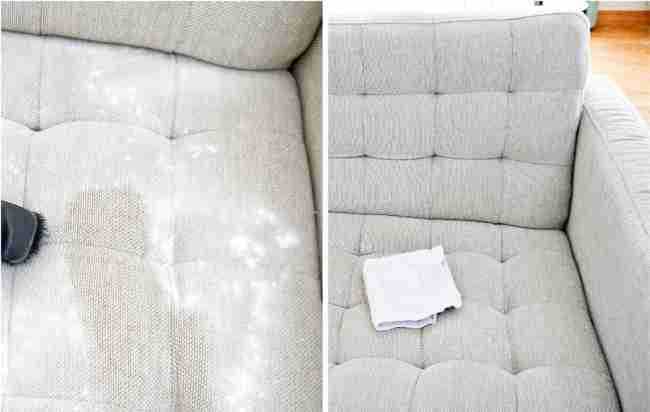 Spray the mixture onto the upholstery from a distance of 10 cm. Rub with a brush that has soft bristles, and then with a clean cloth and some warm water. 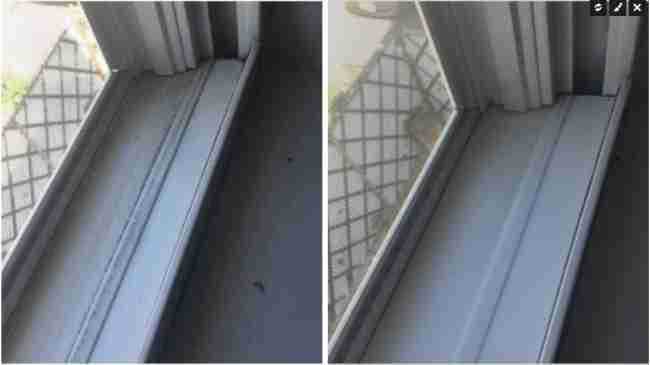 Try to clean only small areas at a time, and remember to occasionally squeeze out the dirt from the cloth. Finally, use a microfiber cloth to help the upholstery dry.